What is it about Nashville that is so different from any other popular city or even city in Tennessee? Just like everywhere else, there is always something unique found in every city that you won’t find or experience elsewhere. For the Music City, that includes various attractions and experiences that just isn’t found or quite the same in another area. Take a look at a few of the unique things you’ll only find in the great city of Nashville. One of the most obvious attractions that is a Nashville-only attraction is our Grand Ole Opry. Without the Opry and the Ryman, Nashville wouldn’t be what it is today. The two venues have hosted the biggest acts in country music for over 90 years now. In fact, the Ryman Auditorium is where the country concerts of the Opry were broadcasted and that is what caused the popularity of the country genre. Now you can visit the Ryman stage where people like Elvis and Johnny Cash once performed. In addition, historical political figures like Theodore Roosevelt and Susan B Anthony once visited this stage. While the Opry and Ryman technically separated in the 70s, you can still visit both of these Nashville-only gems today. Speaking of country music, The Country Music Hall of Fame is a unique Nashville attraction that will take into the world of the genre’s history of the biggest names in the industry. You’ll get to see exhibits, view the inductees, learn everything you could want about the genre of country music that our state has become famous for, and dive deeper into the history of country music. Check this one out in downtown Nashville. While this attraction is found in Nashville, you’ll feel like you just arrived in Greece after a visit to Centennial Park. Inside the park is a structure called the Parthenon that is a building that resembles ancient Greece. It’s actually a full-scale replica of the Parthenon from Greece that you’ll only find in Nashville and it features s 42-foot-tall sculpture of Athena coated in gold. The story behind this structure is that was built to be a centerpiece for an Exposition back in the late 1800s that was based on ancient originals, but since it was the only exact replica and it was too expensive to take down, they decided to keep it there and enhance it for a permanent Nashville attraction. You’ve definitely noticed that our skyline has a building that resembles Batman, haven’t you? This iconic building is the AT&T skyscraper that features two spires to resemble the Batman appearance. It’s actually the tallest building in the state and no other building like it. Lastly, Nashville is not only known for great attractions, but also for their staple hot chicken that is unlike anywhere else. You can actually drive to various hot chicken stops around town to try them all, but Hattie B’s is one of the most popular restaurants to serve it. You’ve had delicious spicy chicken in other places before, but you’ve never had the super-hot chicken from Nashville. What makes Nashville unique? Along with the people, the atmosphere, and the love of Nashville, these attractions and experiences do. The Nations: Nashville’s Newest, hottest neighborhood. 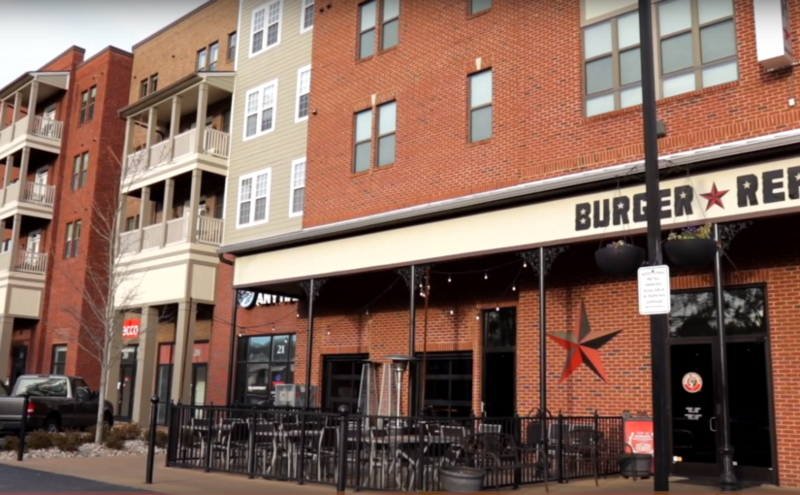 To learn more about one of Nashville’s hottest neighborhoods, watch this short video.